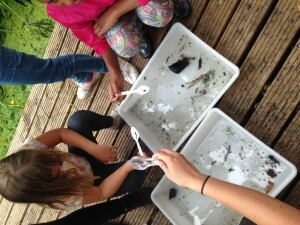 “This summer I have spent time at Southmead Adventure Playground teaching children about the invertebrates living in their stream and the importance of keeping litter and pollution out of streams. Once a week during the summer holiday we held a River Dipping activity to take the kids down to the stream at their playground, nets in hand, and kick up river rocks in hopes of catching freshwater shrimp, hog louse, mayfly snails and other critters. 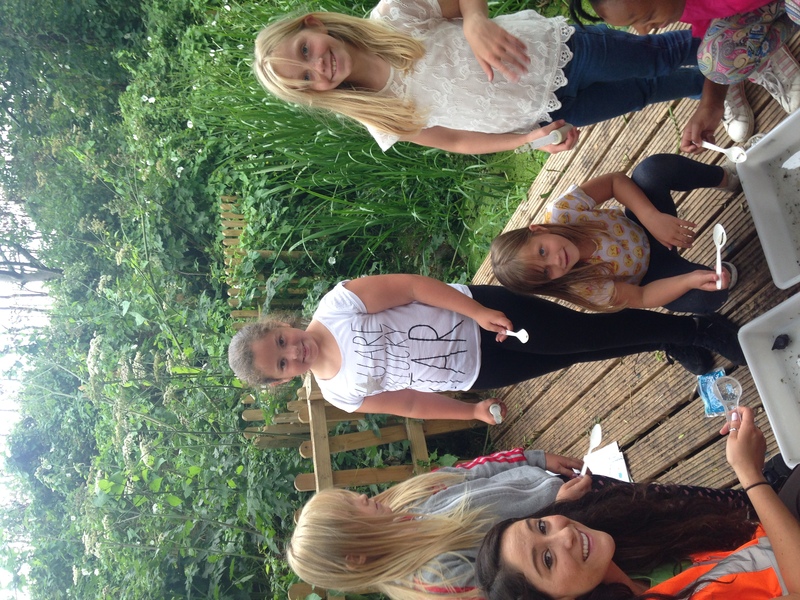 The children loved jumping into the stream and learning about the variety of inverts that were in their backyard! 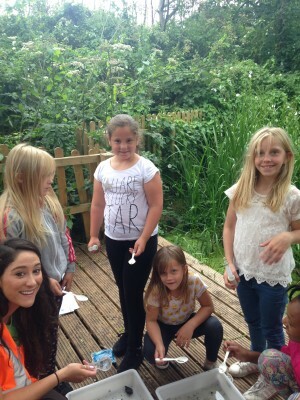 I hope that they will now be more inclined to take small steps to protect their water environments. I have also been helping BART to plan a new citizen science project which I am really excited about.” Thank you for all of your hard work Andrea!